- The Bank of England left its key interest rate unchanged for the fourth straight meeting, as expected, with all nine members of its policy-making committee again voting not to rock the boat as the U.K. prepares to leave the EU. With just 50 days until the deadline for the U.K. to leave the EU, the economy is showing clear signs of slowing down, as uncertainty leads companies to put off investment decisions, while a steady stream of unsettling political headlines weighs on consumer confidence. The slowdown has put the Bank’s decision in August to raise its key refinancing rate to 0.75% in an unflattering light. Data on Tuesday showed that companies in Britain are cutting jobs for the first time in six years as the economy stalls. The IHS Markit/CIPS UK Services Purchasing Managers’ Index, fell to 50.1 in January from 51.2 in December, which was its lowest level since July 2016. Construction and services PMIs also fell in January, IHS/Markit said. Inflation has also retreated in line with the drop in oil prices at the end of last year. From a peak of 3.1% at the end of 2017, it stood at only 2.1% in December. 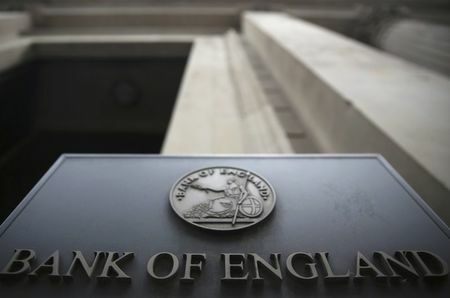 “The economic outlook will continue to depend significantly on the nature of EU withdrawal, in particular: the new trading arrangements between the European Union and the United Kingdom; whether the transition to them is abrupt or smooth; and how households, businesses and financial markets respond,” the BoE stressed in its press release. Prime Minister Theresa May is trying to convince EU leaders to renegotiate a key part of the withdrawal agreement, but the bloc has signalled it won't reopen a deal that took two years to negotiate. May faces strong opposition from her Conservative Party, who want reassurance that the so-called ‘Irish backstop’ arrangements won’t leave the country effectively under EU laws in the long term. The Bank’s messaging comes as both the Federal Reserve and the European Central Bank adopt a more cautious tone about the global economic outlook. The Fed signaled in January that it would pause its tightening of monetary policy, while the ECB expressed fears of downside risks to the economy amid weak data from Germany and fears of a recession in Italy.